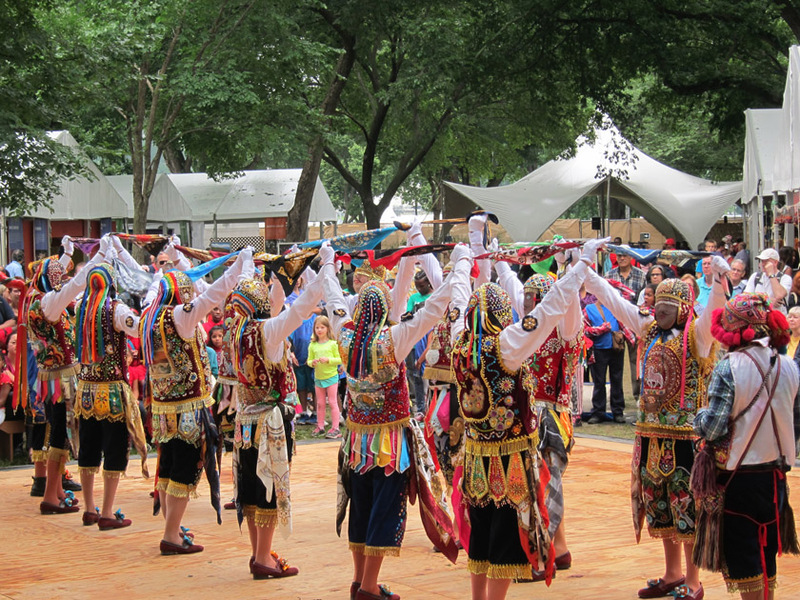 Due to construction on the Mall, the annual Folklife festival was smaller this year and only focused on Peru. 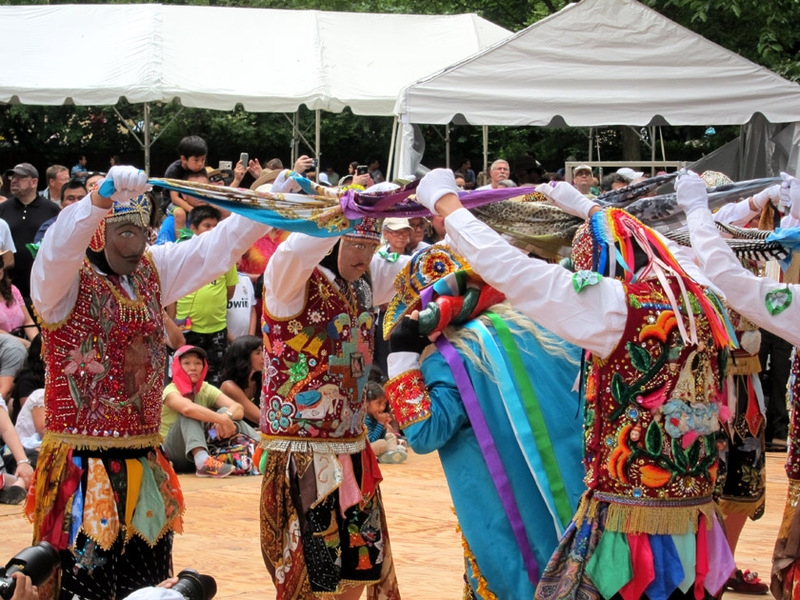 But this Andean nation definitely held its own bringing over 120 craftspeople, musicians, storytellers, artists, chefs, and dancers to bring their country to life in the heart of DC. 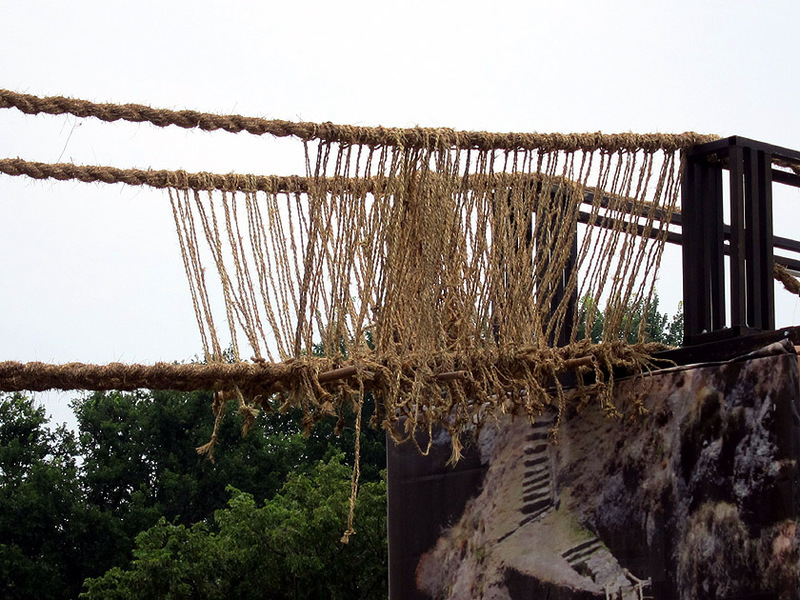 One of the highlights of the celebration was the construction of a traditional rope bridge. The Q’eswachaka Bridge spans the Apurimac River Canyon in the Southern Andes. 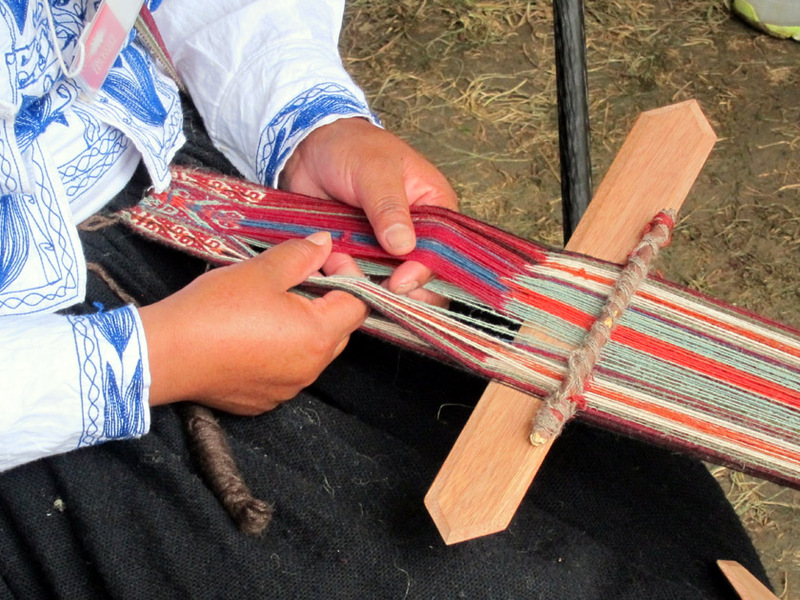 The techniques for fabricating the twine from grass, braiding the twine into rope, constructing cables, and building the bridge have been handed down for hundreds of years. The bridge is replaced annually and only takes three days to construct. This bridge, along with the cultural knowledge needed to maintain its traditional construction, has been designated as a UNESCO World Heritage site. 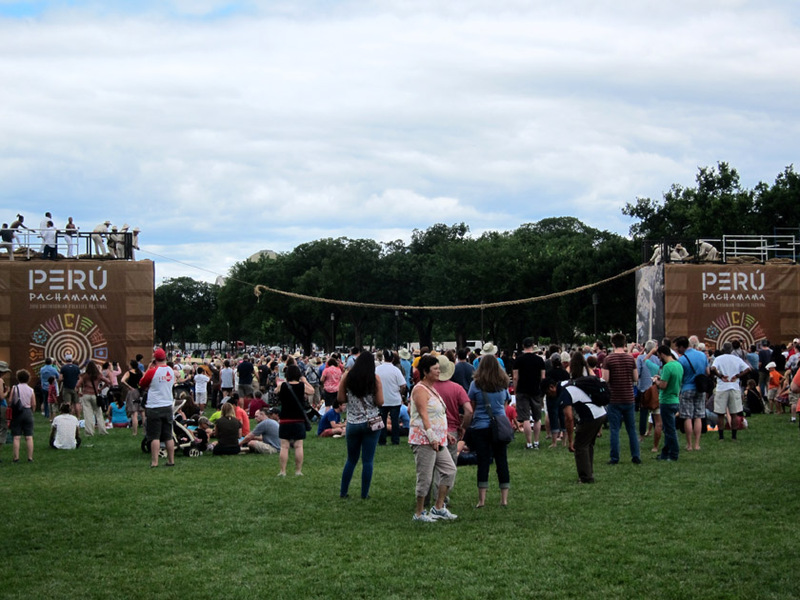 All stages of bridge construction were presented at the festival. 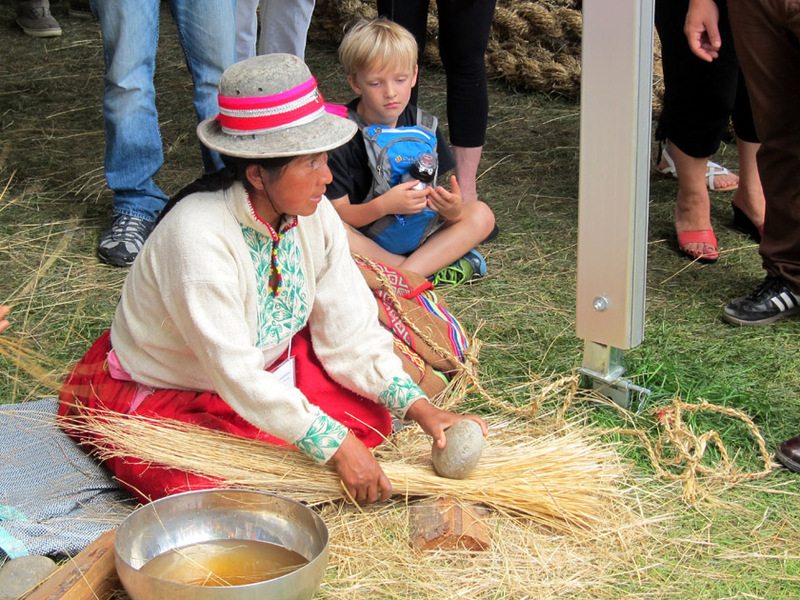 There were women demonstrating how to prepare the grass and make the twine. 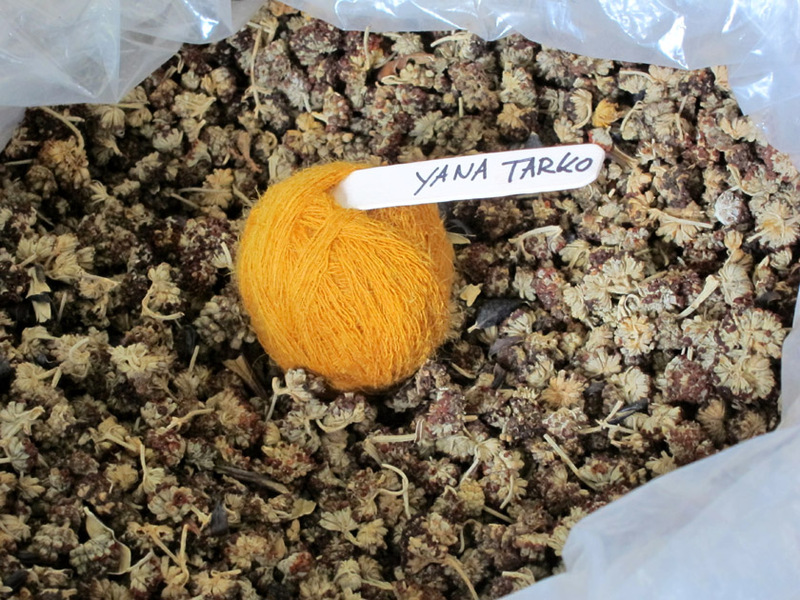 Grasses are pounded to prepare them for twisting. 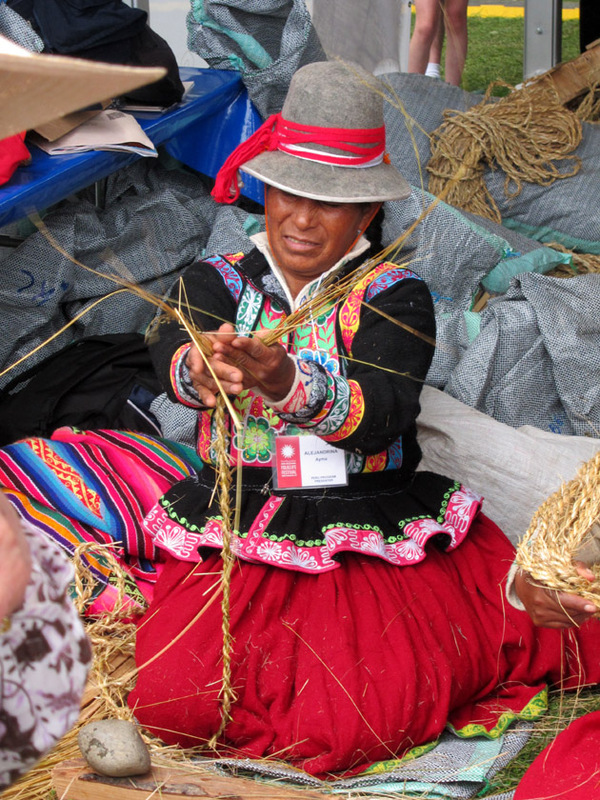 Twisting the grass into twine. 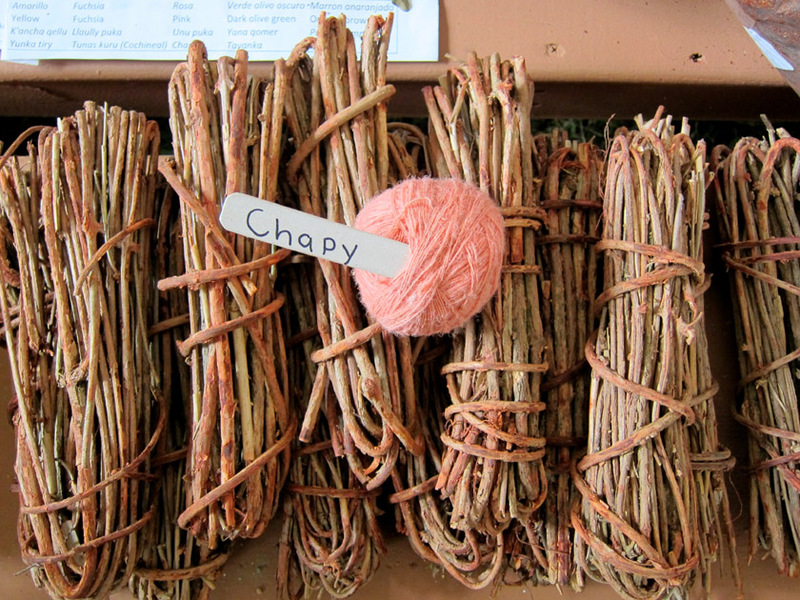 The twine was then wrapped together to make cords which were then braided to make cables. The team from Peru had spent the last week slowly preparing the cables and was now ready to start constructing the bridge. The wet material looked heavy and took a dozen or so people to carry over to the bridge location. 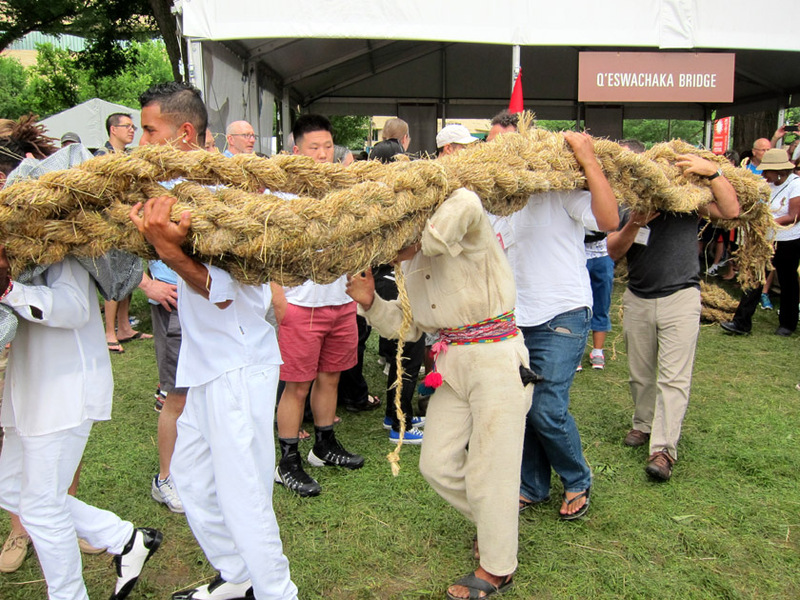 The braided ropes, hand-made from grass, are incredibly heavy. Some of the other performers (notice the nice shoes) had to help. With no river canyons on the National Mall in Washington, DC, two platforms were constructed to support the bridge. 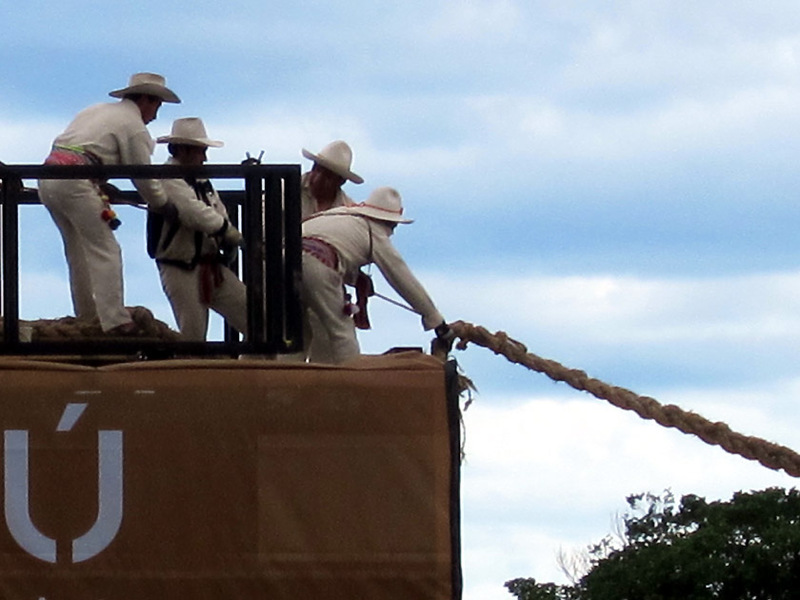 I watched as the Q’eswachaka team pulled the first cable over to create the floor of the bridge. Pulling over the first cable for the bridge. Great progress – Four floor cables laid down. It was amazing to watch the bridge come together in a couple days! 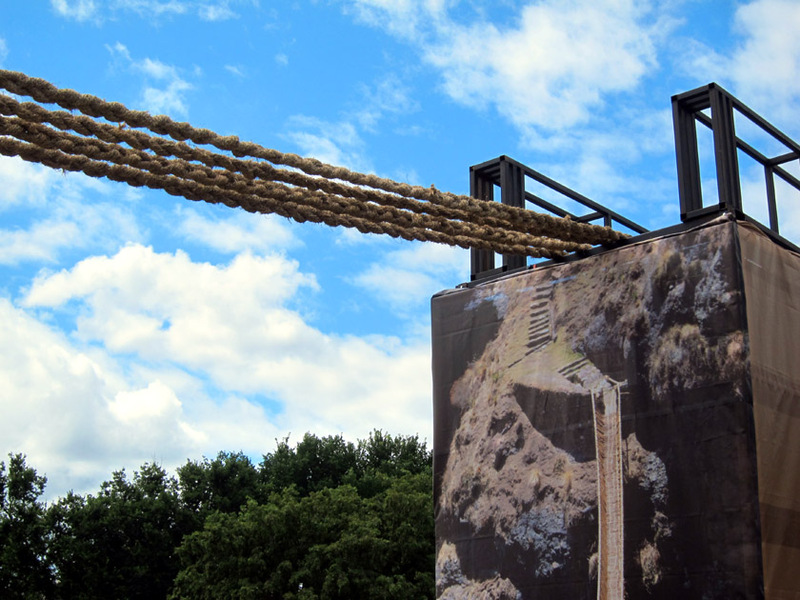 Even though it is made entirely of grass, the finished bridge is incredibly sturdy and safely lasts for a full year in the Andean climate. Two days later the handrails and sides supports are already up. 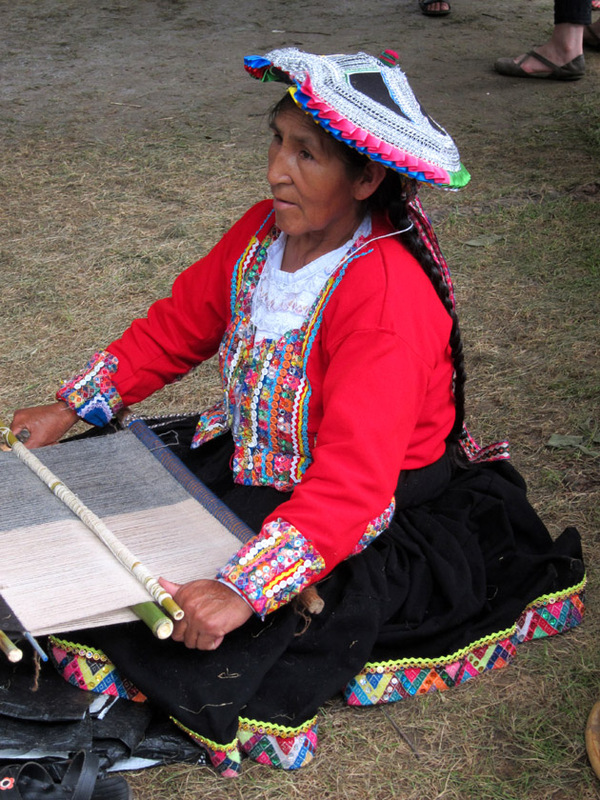 Peru is known for its incredible textiles. 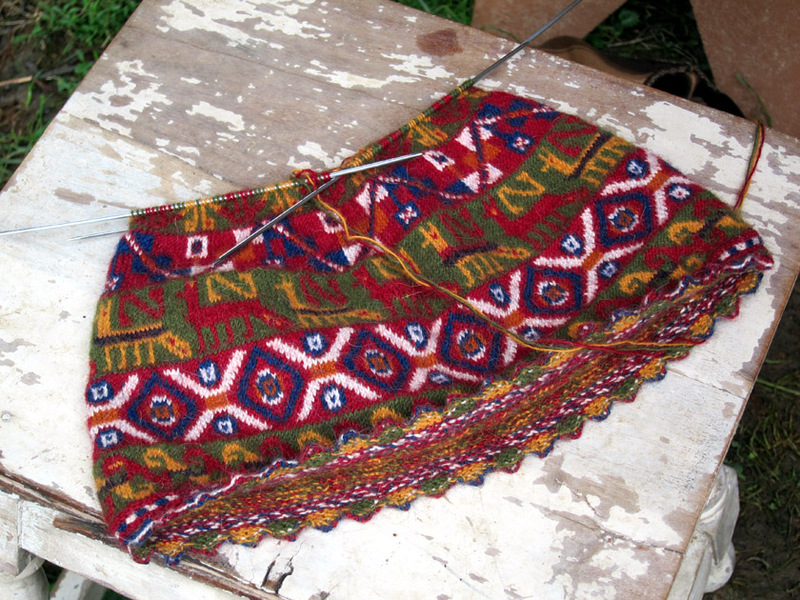 Part of what makes them so special is the wide spectrum of colors used. 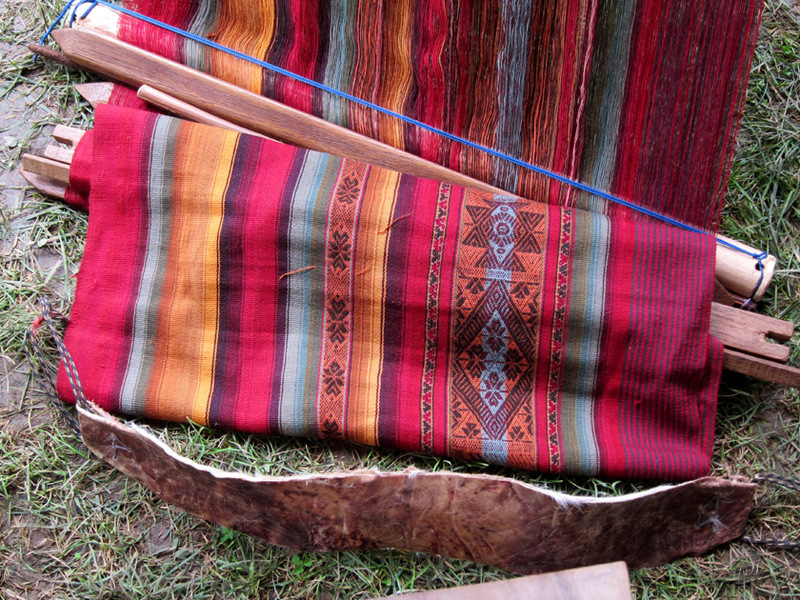 The leaves, barks, flowers, and insects of Peru have given artisans an incredible natural palette. 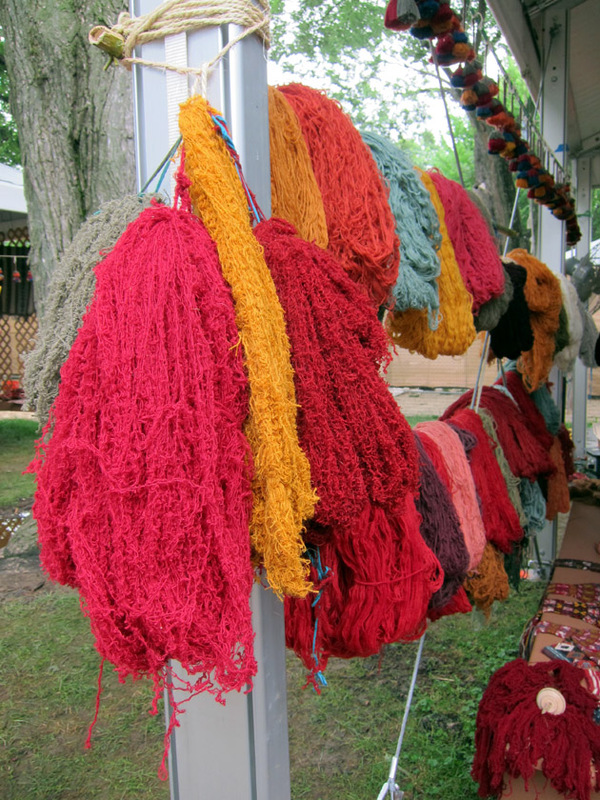 The festival weavers were happy to explain the process of making these dyes. 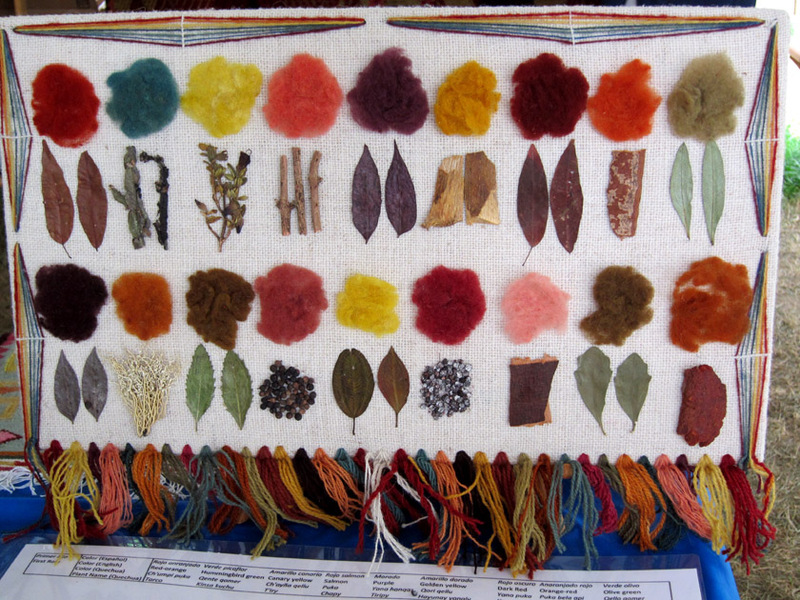 Display of Peruvian dyes and the leaves, bark, and flowers from which they are extracted. 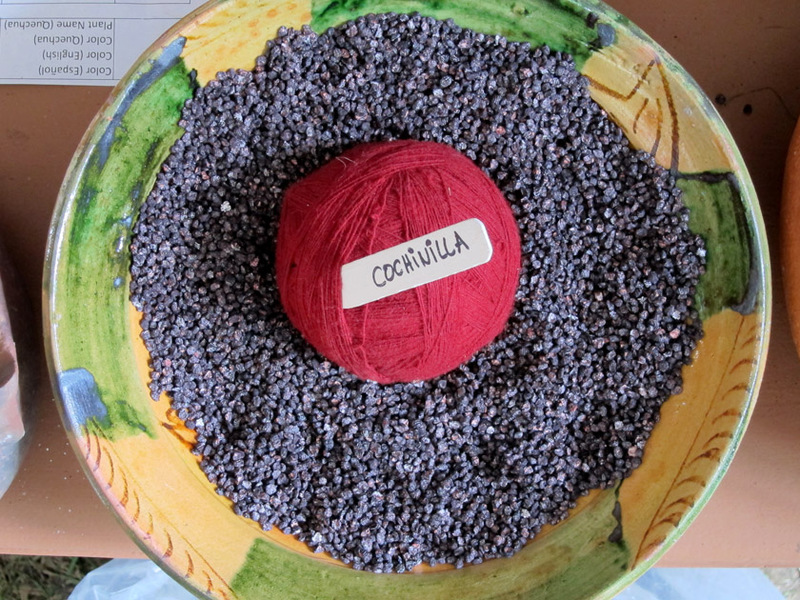 Collection of dyed yarns ready for weaving. 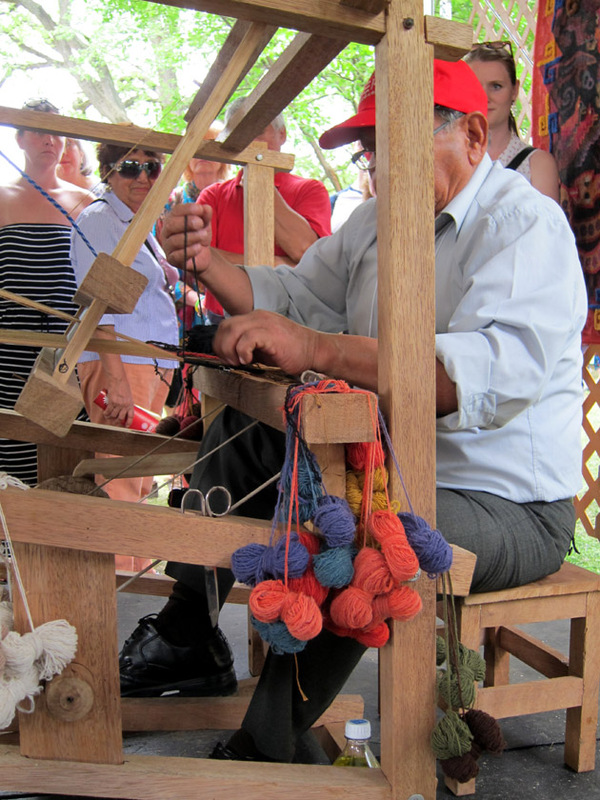 Artisans were also at the festival demonstrating several types of traditional weaving. 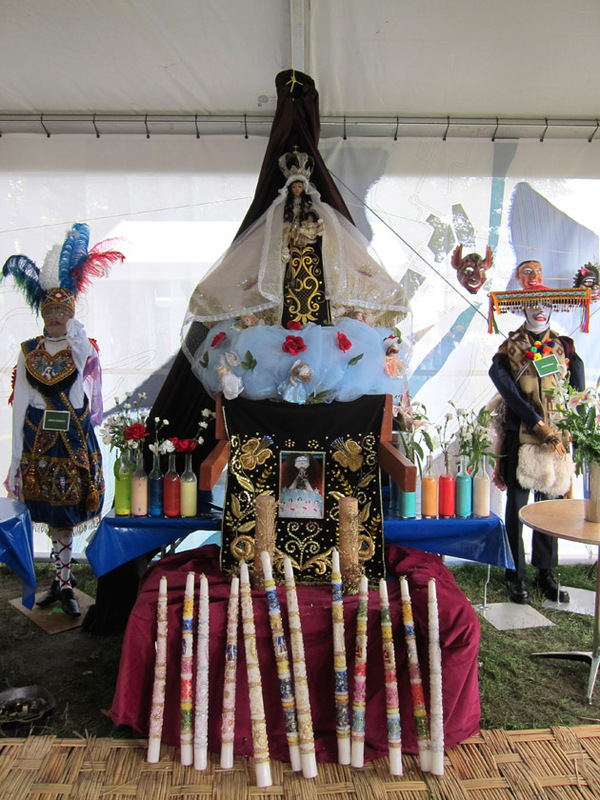 Every July, the Virgen del Carmen is paraded through the streets of Paucartambo, Peru and celebrated with dances, ceremonial vignettes, and music. 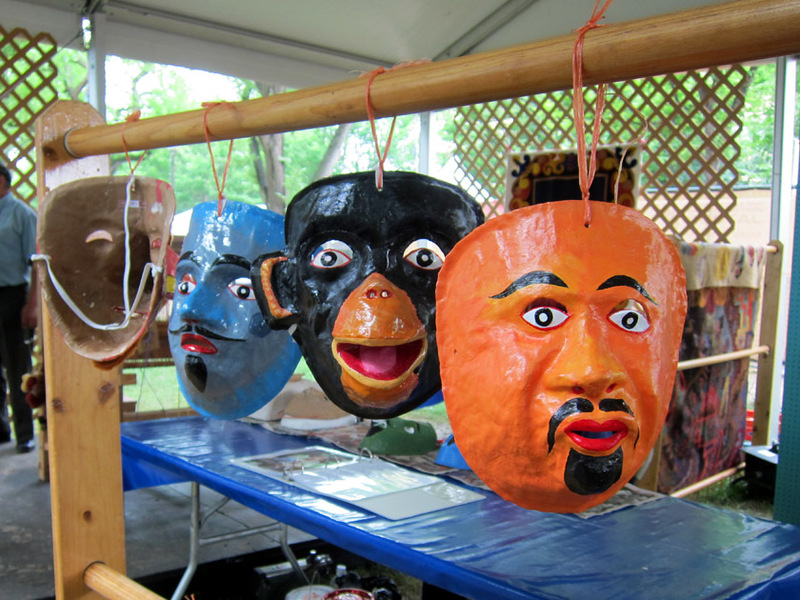 I watched the contradanza troupe perform their stylized dances in masks and elaborately decorated, but unique, costumes. 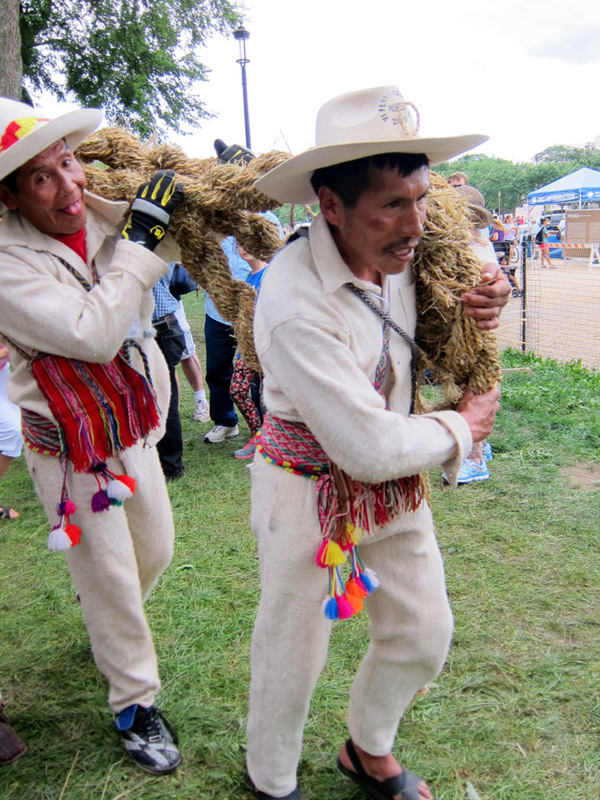 Dancers from La Fiesta de la Virgen del Carmen from Paucartambo, Peru. 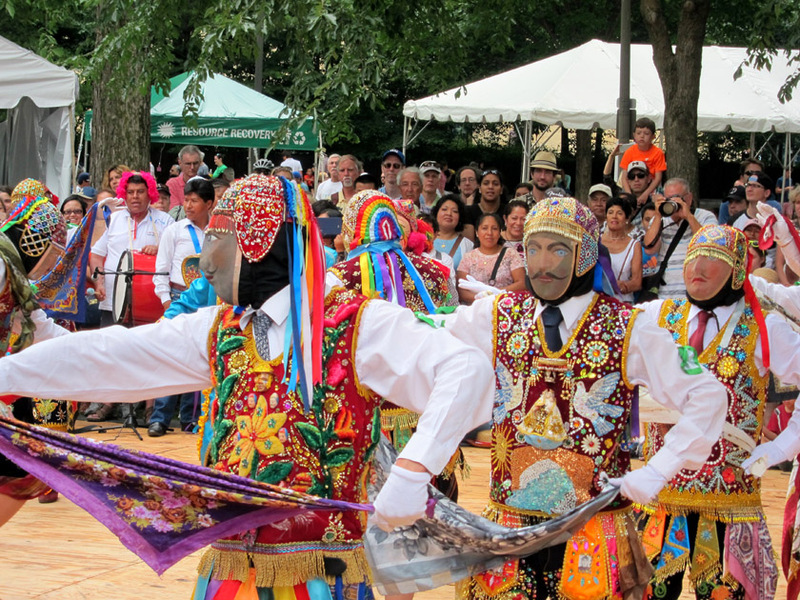 For me, the troupe was an excellent representation of the mixing pot that is Peruvian culture. 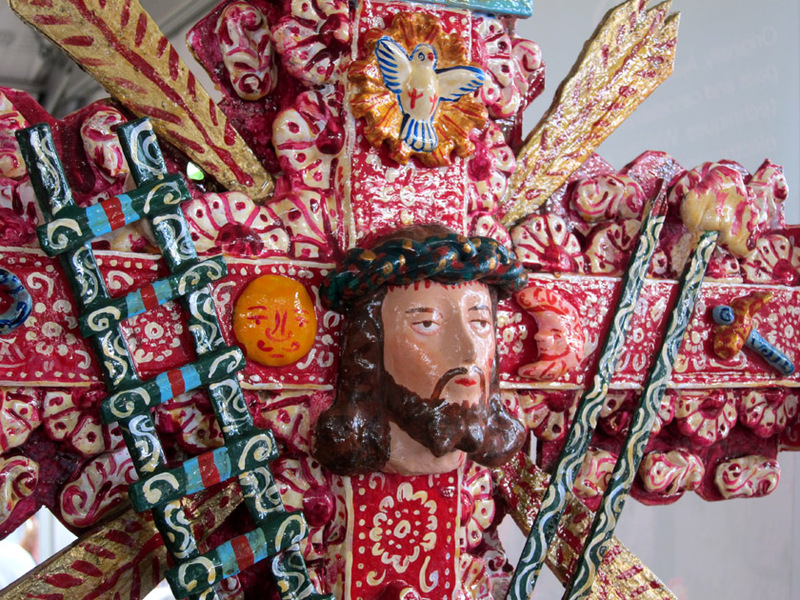 Their quadrille dances, and really even the idea of processing a religious statue through town, seem very European. 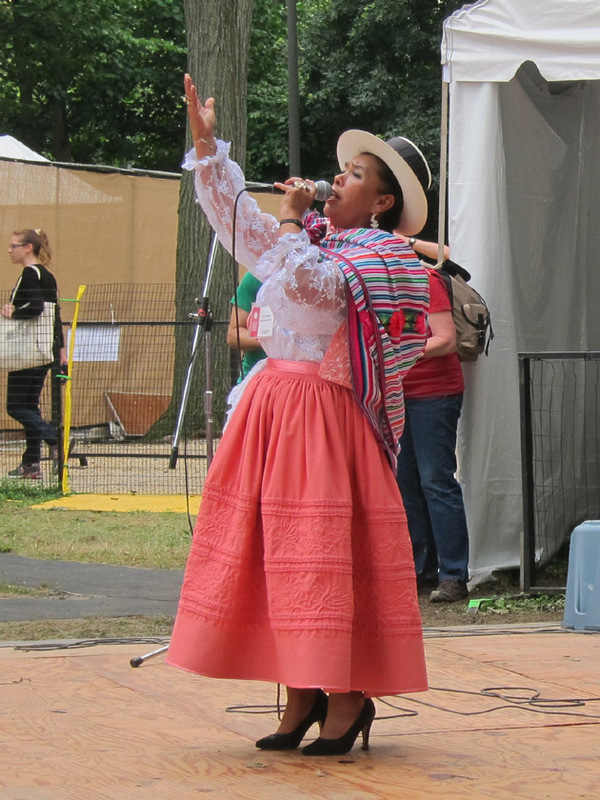 Their music is a stylistic mixture of Andrea huaynos and Spanish folk music. 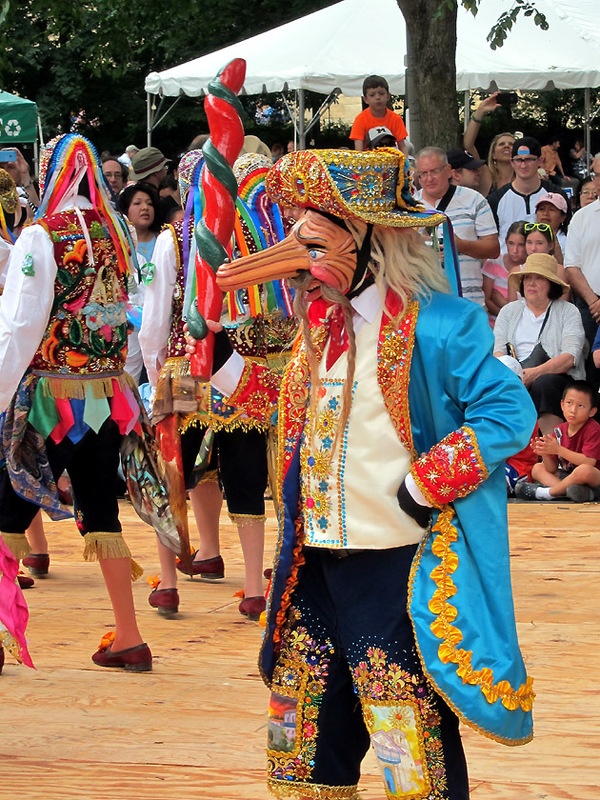 The caporal (or “chief”) dancer is a humorous caricature of a Spanish soldier. 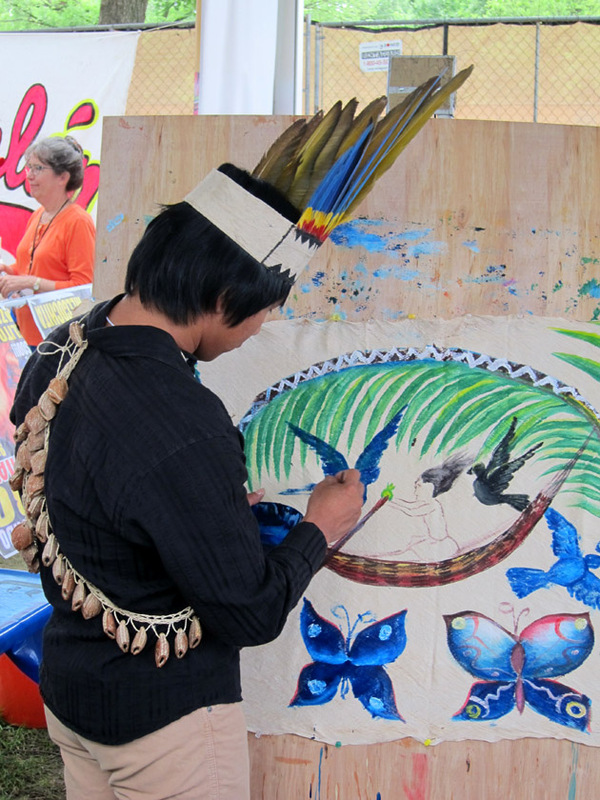 Overall, another great Smithsonian Folklife Festival. I can’t wait for 2016! 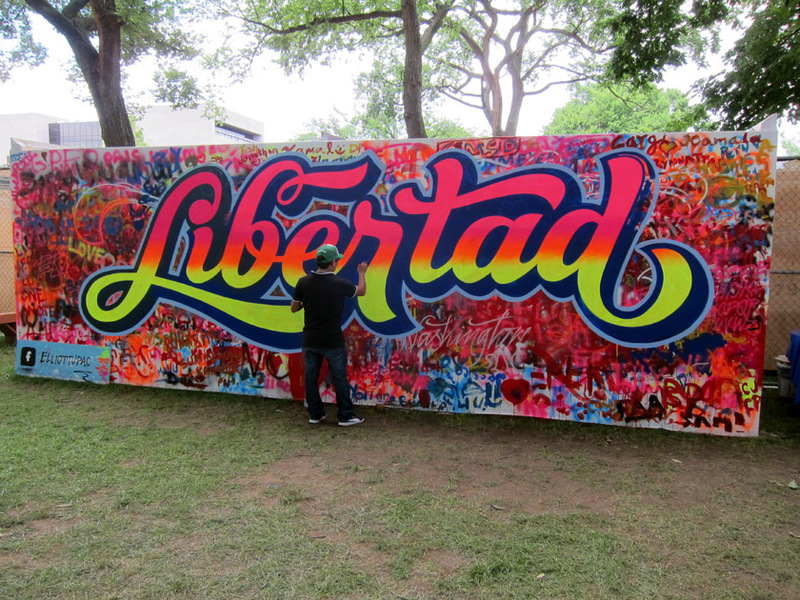 This artist pulls from traditional motifs to create modern images.